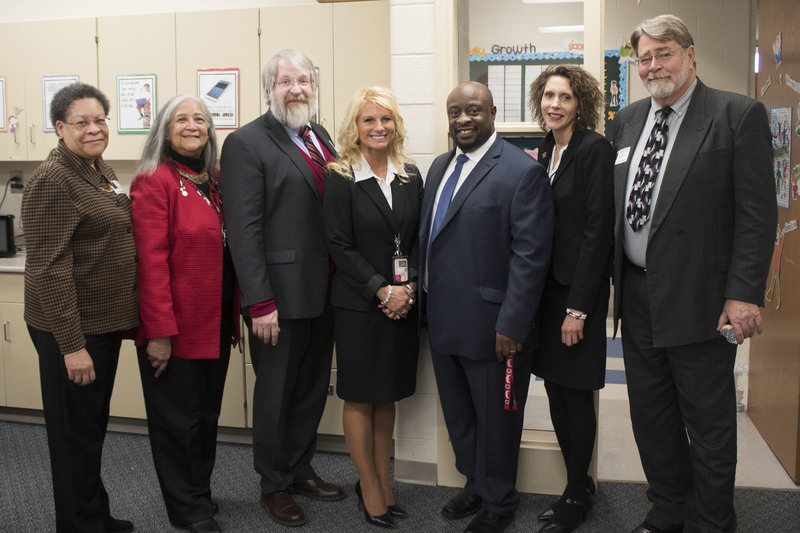 Accompanied by John Hagan, an Ohio Board of Education member, DeMaria was led on a tour of the school by Principal Michelle Balderson, Alliance BOE President Elayne Dunlap and Talbert. 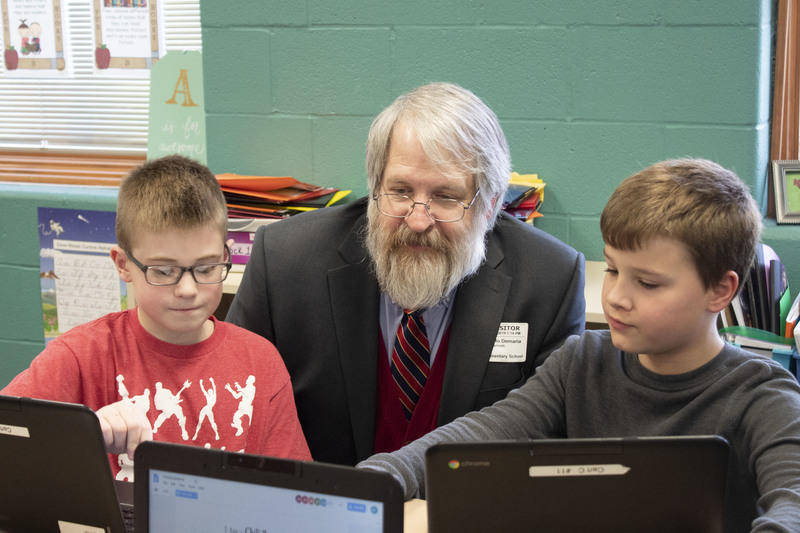 DeMaria visited four classrooms during his visit to Rockhill. 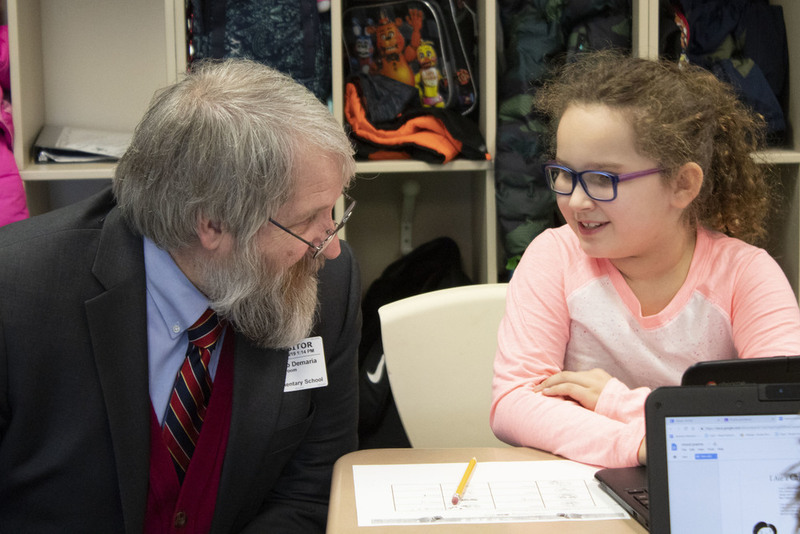 He started by visiting Janet Dawson’s second grade reading class where he listened to students read and talked to a group of students about what persuasive writing means. Billie Jo Muller was teaching her first graders about informative writing when the superintendent visited her class. In Vicki McGeehen and Kate Morris’s third grade math class, DeMaria watched as the student learned how to find the area of rectangles using blocks. 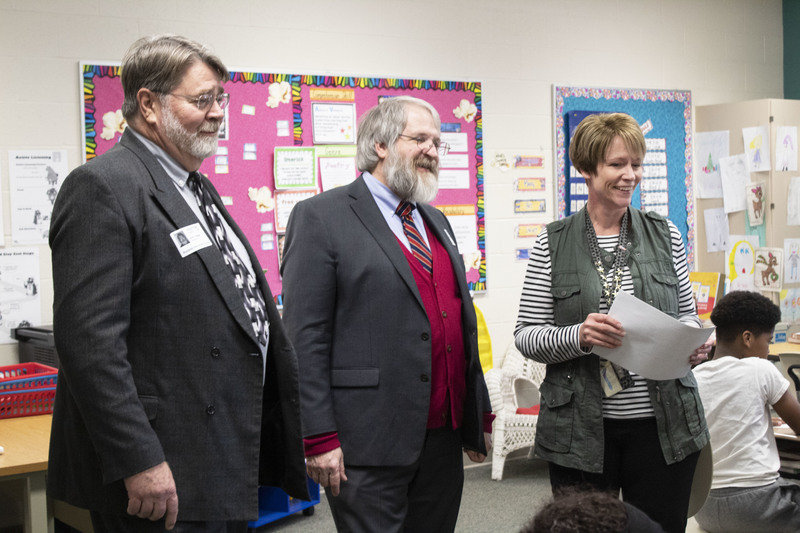 The final classroom on his tour of Rockhill was Julie Hale’s third grade reading class where the students read poetry and discussed the author’s point of view. DeMaria was impressed with the students and the skills they were using in each of the four classrooms. Following his tour, a reception was held for DeMaria to allow him to meet members of the Alliance City School Districts administration team, the Alliance Board of Education as well as staff members from Rockhill. Balderson spoke on behalf of Rockhill and expressed her gratitude for her staff and the culture they create for the students every single day. DeMaria commended the school’s efforts to meet the needs of the whole child, a concept that is stressed in each of the schools in the Alliance City School District. The staff members in attendance at the Reception commended Balderson for her outstanding leadership. All agreed they would not have been able to achieve their standing as a High Progress School without her dedication, support and desire to help each and every student. To be named a “High Progress School” by the Ohio Department of Education, a school must be a Title One recipient or Title One-eligible school and have a student body of 40 percent or more economically disadvantaged students. The schools must have shown an increase in their combined math and reading proficiency rates for the last five years.